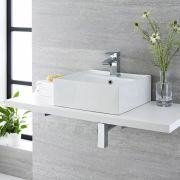 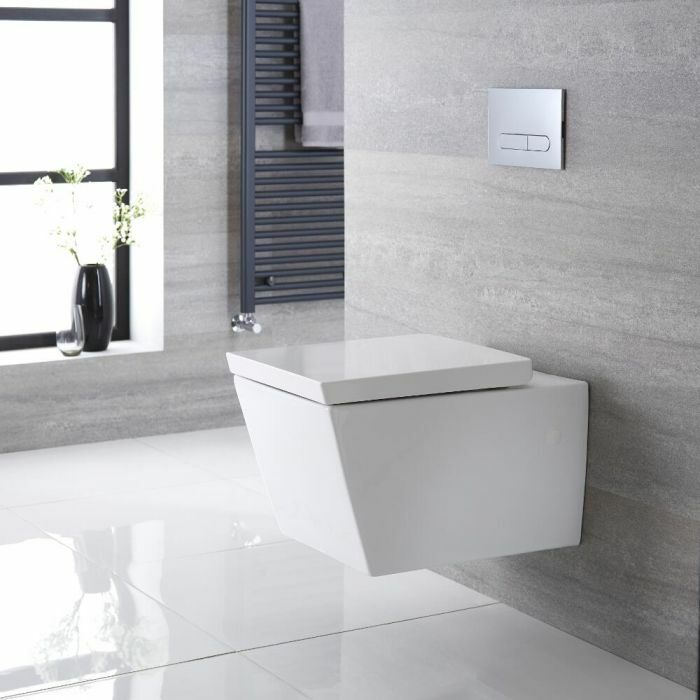 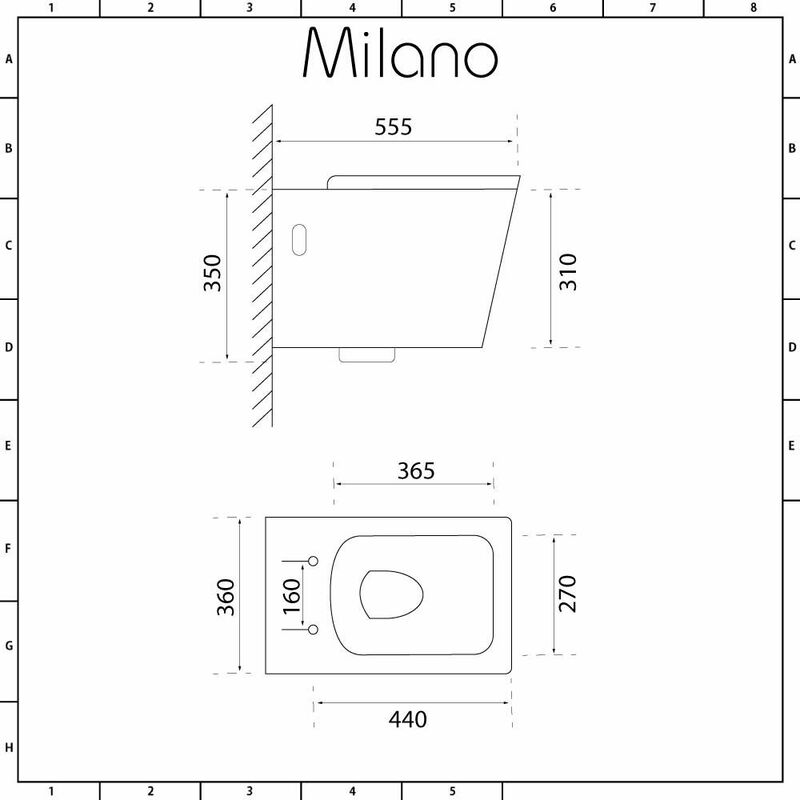 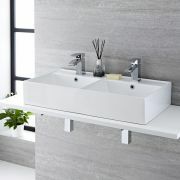 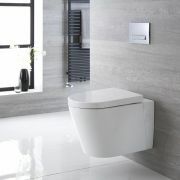 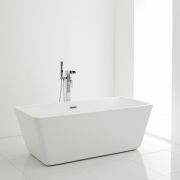 Bring designer style to your bathroom with the Milano Dalton wall hung toilet complete with soft close seat. Featuring clean geometric lines, this wall hung toilet appears to float above the floor, creating the illusion of more space and a bigger bathroom. 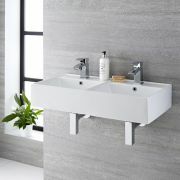 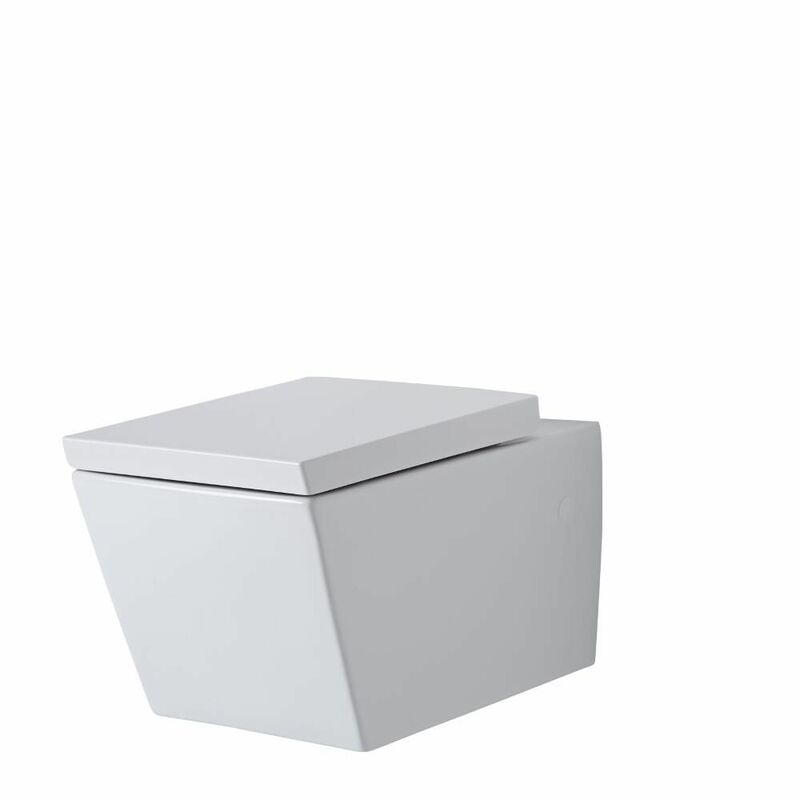 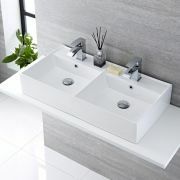 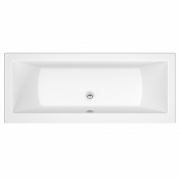 It has been crafted from premium quality ceramic and finished in a durable easy to clean white glaze. 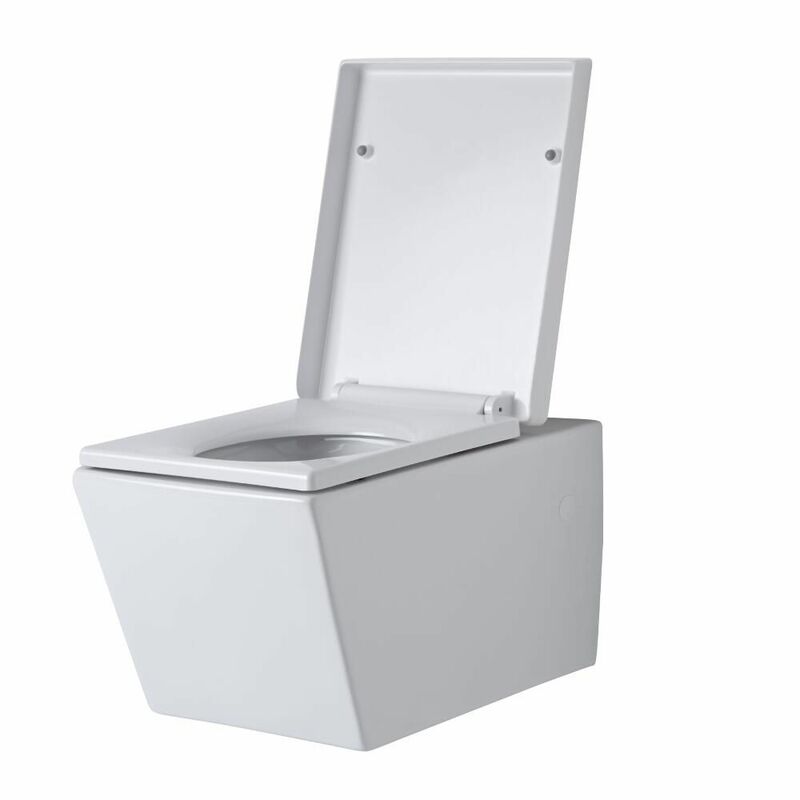 The supplied seat has a quick release mechanism, so you can remove and clean it with a minimum of fuss. 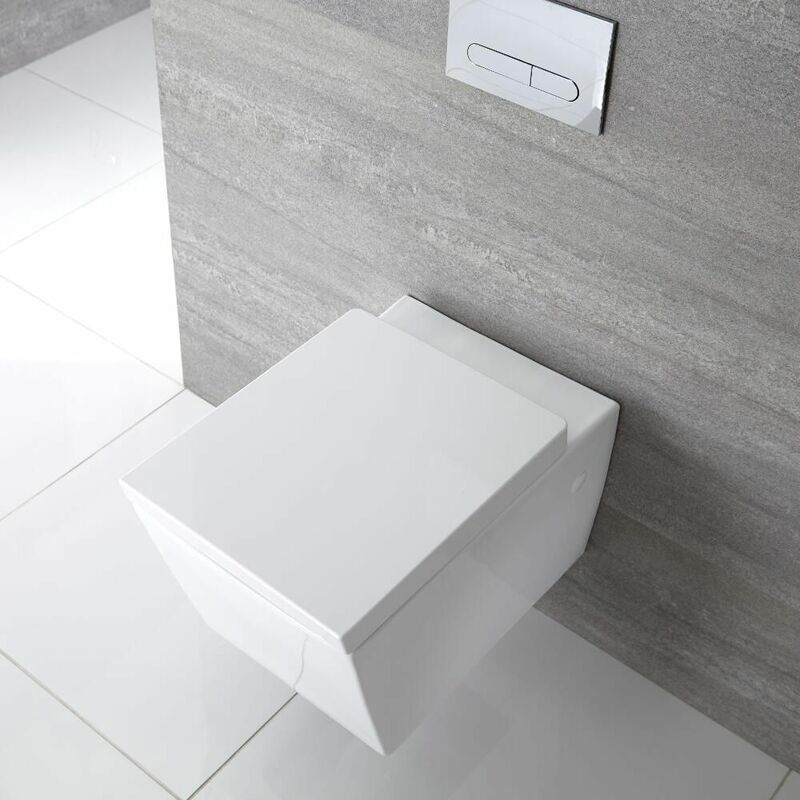 The soft close hinges minimise noise and reduce wear and tear.